A gathering place of great ideas, inspiring stories, faith, family, fashion, food (with a slant on CLEAN, healthy Filipino cooking), and much more! Welcome to Dios Ti Agngina! Caz is short for Cazenovia which has become one of my favorite places to spend with family in Central New York. I love this place! Whether we're in the middle of winter trekking through piles of snow or taking in the serenity of springtime, Cazenovia is really a charming place to be. 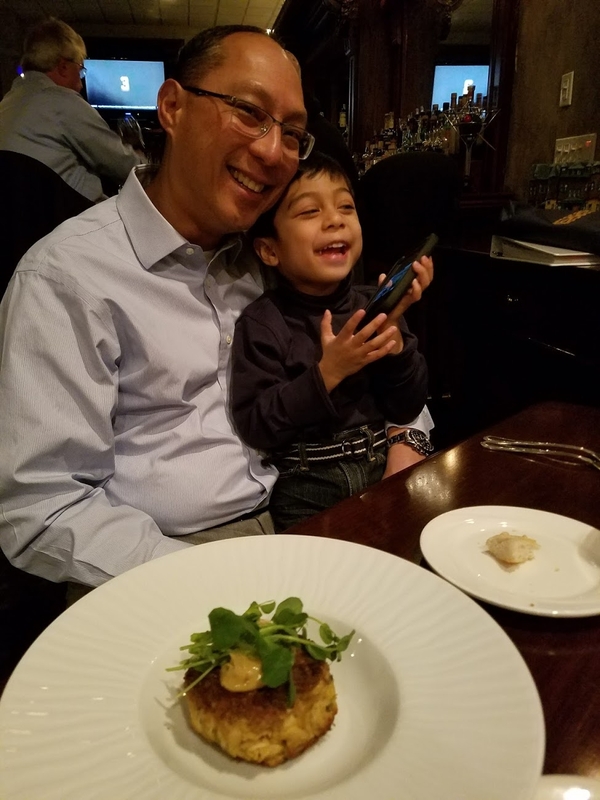 My husband brought me and our son Constantine to The Brewster Inn, a very warm and comfy country inn in Cazenovia for my birthday this past March. He had dined there for a work event and was very pleased with his meal so we were very excited about celebrating there. 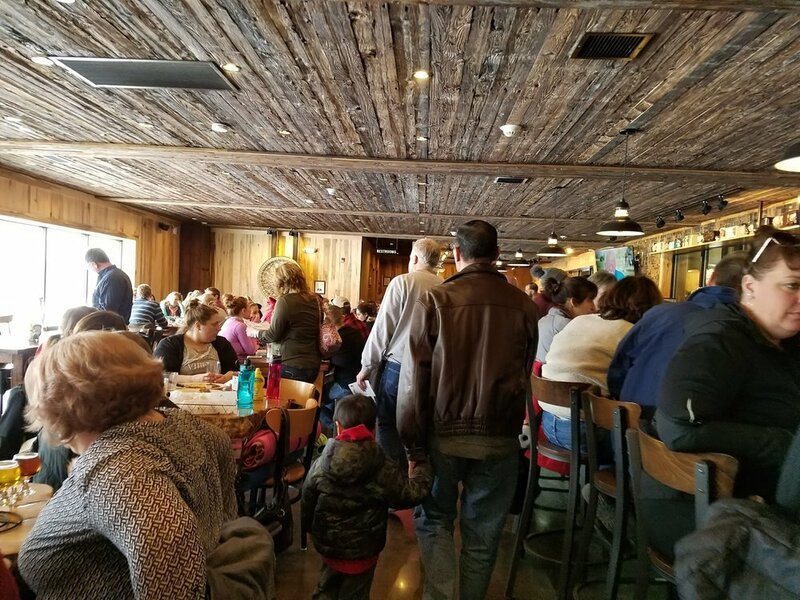 I was surprised to see how busy the inn was for a Tuesday night. There were patrons at the bar as well as small parties dining for dinner. I chose the crab cake appetizer with arugula, beets, and goat cheese salad. I also had a delectable Brewster's style shrimp scampi. For dessert, we shared a passionfruit custard and coconut ice cream. Overall, it was a lovely evening and the whole experience was wonderful. 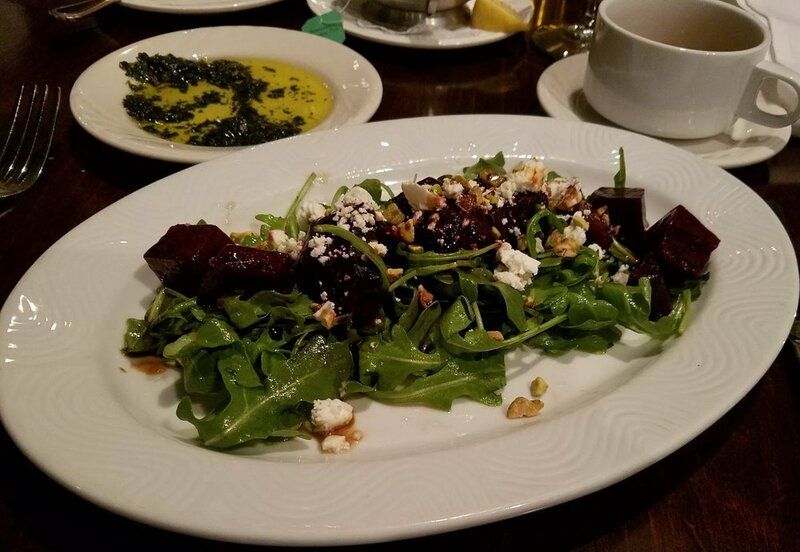 I will definitely go back to bring family and friends to enjoy the excellent food and ambience at The Brewster Inn. The second time we visited Cazenovia, there was a lot of snow, with 28 inches having fallen a few days before. Despite the snow, we easily made it over to discover Cazenovia. I'm so glad that we did. Our first stop was at a local CSA farm store called Greyrock Farm. I was interested in this CSA for a few reasons. Lately, I've been intrigued about raw milk from grass-fed cows. In the state of New York the only place where you can buy raw milk is from the source so that means you would need to buy at the farm. So the verdict was a two thumbs up for raw milk that day I tasted it. And I decided to add grass-fed raw milk to our family's diet and I probably will stick to this for the long haul. The benefits of grass-fed raw milk outweigh pasteurized organic milk. I want the very best for my family and that means patronizing local farms and companies to get the most nutritious food available to us. We like to get at least two half gallon bottles, one to consume right away and the other to freeze. Raw milk contains no preservatives so it needs to be consumed fairly quickly within 7 to 10 days. Now Greyrock Farm is not your regular CSA (Community Supported Agriculture). I had been accustomed to participating in CSAs in which you go to your weekly pick-up location to get your shared box. That meant that the produce was handpicked for the CSA member and whatever produce the farmer had on hand was our share for the week. When I was on an elimination diet, many times I would give away produce that was not part of my diet to friends or neighbors. This is one small drawback but I still highly recommend joining a CSA for getting the most bank for your buck as well as the most nutrient dense food locally available for yourself and your family. But I have noticed that more and more CSAs are offering you your choice of produce. Greyrock Farm is unique in that you visit the farm store and browse through different offerings like produce, grass-fed meats, pasture raised eggs, local cheeses, local butter, local organic bread and pasta, local fungi, local condiments and other products. I appreciate that you can talk face to face with the farmer, Matt Volz, and that the farm team is very accessible, friendly, and knowledgeable. Greyrock Farm has certainly made their CSA a step level more competitive than most CSAs. For anyone who lives in the Syracuse area sign up at Greyrock Farm is very simple. Just visit the farm store and sign up at the register. The minimum amount to open an account is $500 but that amount goes a long way and you receive a discount of 5 percent. The more you put down the higher the discount. We were quite surprised that for our first purchase we must have picked up twice the amount that we normally get at the grocery store yet paid so much less. 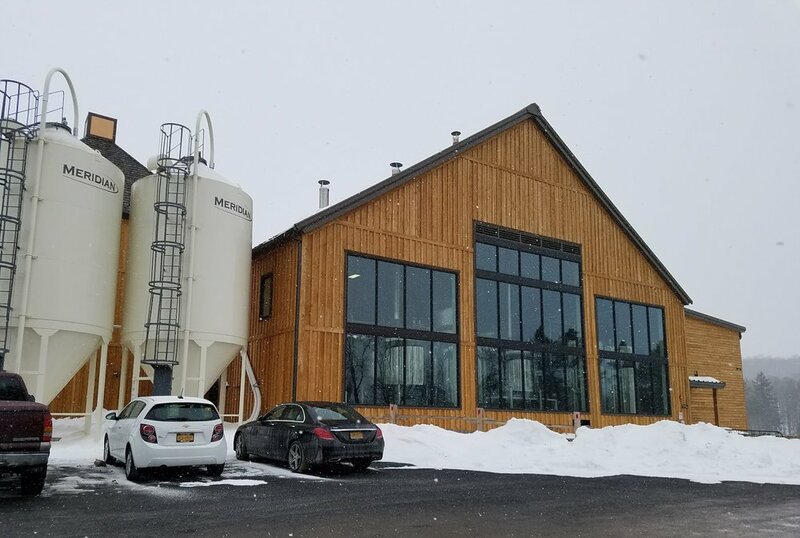 A day in Cazenovia would not be complete without visiting Empire Farm Brewery. Empire Farm Brewery has become one of my favorite farm to table restaurants in the Syracuse area. We were amazed during our first visit. As I've mentioned we had just gotten about 28 inches of snowfall yet this place was jam packed! People were out and about enjoying the day despite the snow. Being inside the brewery we took in the expansive view of pure white snow falling. And we had the most delicious grass-fed burgers, the Meadows Farm wagyu burger, that we have had in the Syracuse area. Nothing beats the taste of clean, farm to table food. 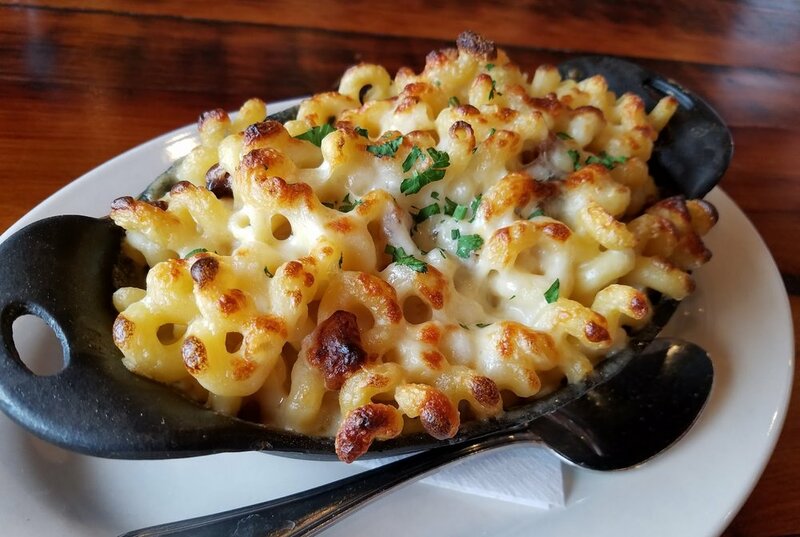 We also ordered their awesome mac n' cheese made with creamy Welsh style cheese and their own bacon. The service was excellent and of course you can't leave without tasting their local beer! Recently, I learned about the only vineyard in Cazenovia called Owera Vineyards and I had the delightful experience of tasting their Owaghena Red at my neighbor's home. I was quite impressed with this red wine. So needless to say we will be visiting Owera quite soon to sample their award winning wines and taste their highly rated farm to table food. So you can understand why I am crazy for Caz and all things organic and local! Here's to more beautiful explorations in Cazenovia and surrounding areas in Syracuse, New York. Sign up for one of my programs! Whether we’re in the middle of winter plowing through piles and piles of snow or taking in the serenity of springtime, Cazenovia is really a charming place to be.